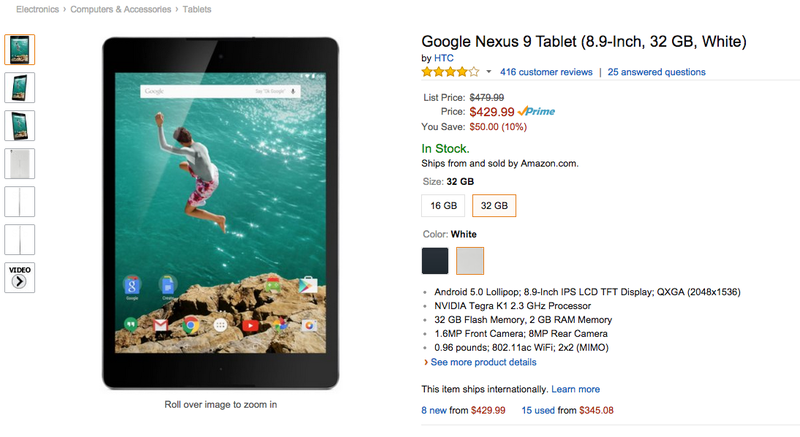 For a limited time, Amazon is offering the Nexus 9, in both 16GB and 32GB storage options, for $50 off of their suggested retail price. To do the math for you, that brings the prices down to just $349 for the 16GB and $429 for the 32GB. Both White and Black models are available, making this a very sweet deal. Usually, you might find me recommending the SHIELD Tablet, but at just $349 for the 16GB model, in that hot White color, I would have to go for the Nexus 9.